Furniture is one of the utmost important factors when building a hotel. There are several materials and styles with various prices, so how can you find out the one that suits your hotel most? Below are 3 keys that ATC Hotel Furniture Supplier suggest for you. Design is one of the most important factors which makes first impression on hotel visitors. However, what truly bring comfort and pleasure goes to materials. You might be wondering, among a bunch of substances out there, which particular kinds should be considered as wise choices? So here is our answer: While materials for hospitality rely on specific purposes, Aluminium and Wicker (Rattan) are proved to be two of top 5 best materials for Hospitality Furniture. Aluminium is a great common choice as it suits both indoor and outdoor styles. Not only is it lightweight, easy to clean and can withstand extreme weather conditions but it is also economical to hotel’s owners. No matter whether you might go for: minimalist, trendy or even classic, furniture with aluminium frame can match different themes. 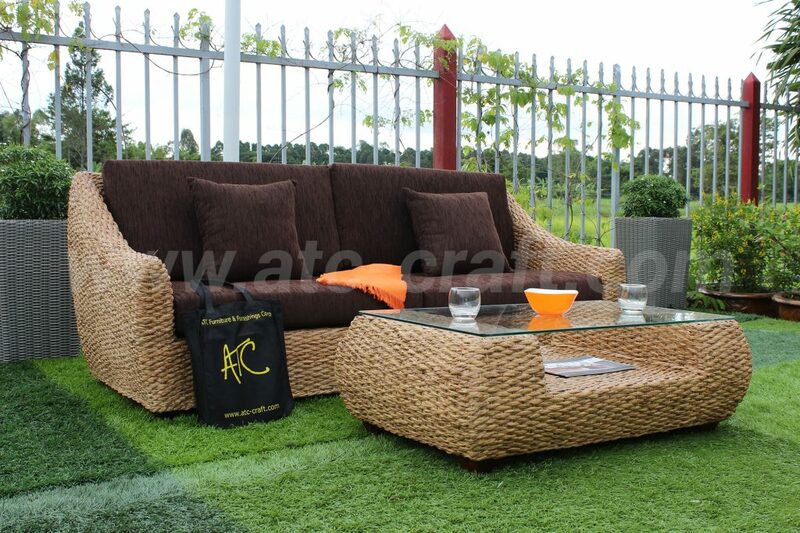 Synthetic wicker is another ideal material to look for. Do you just want a day bed or a whole dining set? Wicker furniture can bring all many years of relaxation and enjoyment. 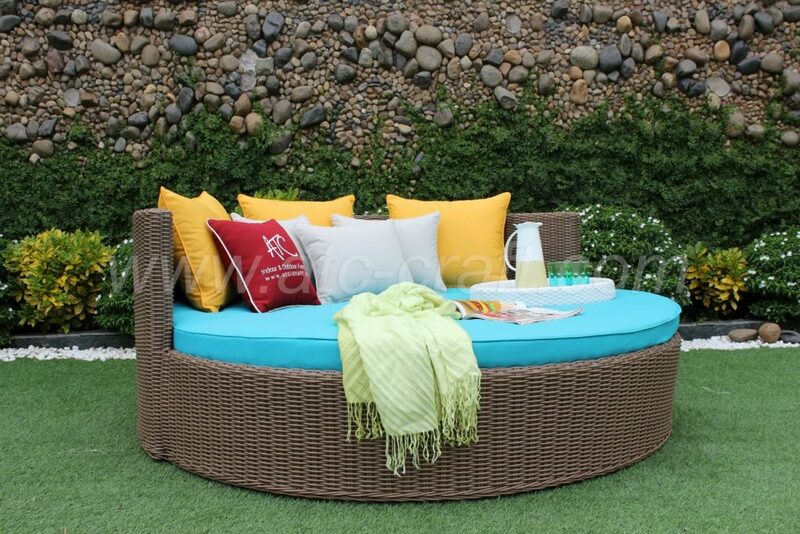 Besides, rattan wicker looks great with coloured cushions and pillows as well, allowing it to perfectly accent any existing patio environment or sunroom decoration. This light material is especially paired with Asian or tropical style. Cuisine is kind of art and high quality of food might be an allure that urges your guests to return the next time. However, the cruciality of indoor furniture, especially to high-class hotels, is undeniable. Beyond the boundaries of taste, furniture material and decoration should always be focused in order to optimize customers’ pleasure. Firstly, explore the materials that restaurant tables are made of. One more time, material is important. If your style is tropical, synthetic wicker should be initially noticed. Secondly, find the perfect height restaurant table and choose the right durability restaurant furniture. 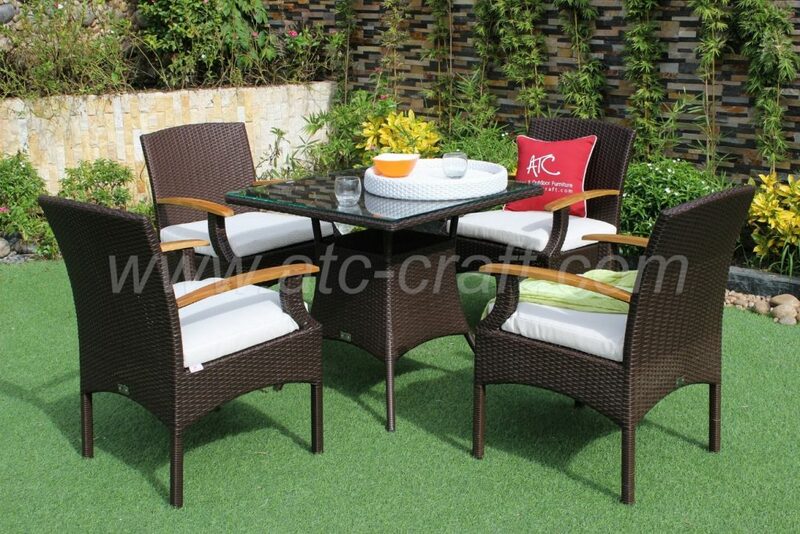 In these cases, wicker or aluminium Hotel Furniture Supplier should be under high priority. Next, get easy to clean table tops. This is for faster turnover and it might be a good idea if you choose tables made with easy-to-clean substances. Beside those 3 tips, you should also notice that local touches make a big difference in guests’ impression. A lot of restaurants have incorporated local elements into furniture design as their own remarks and this helps them attract more guests. You can localize your hotel’s furniture in different ways. Why don’t try an outdoor tabletop made of local stone, throw pillows with the local sport team’s logo or a plant centerpiece filled with local greenery? Or you can use coasters made by a local potter or wordworker and a firepit, water feature decorated with local imagery. By going “localized”, you can make your customers feel interested and impressed. Impression on your guests is necessary. Although many hotels might pay attention only to utmost important furniture so as to minimize their costs, advice from ATC Hotel Furniture Supplier is that impressive ideas can change your hotel’s image to customers in a positive way. We are going to start with the outside first. 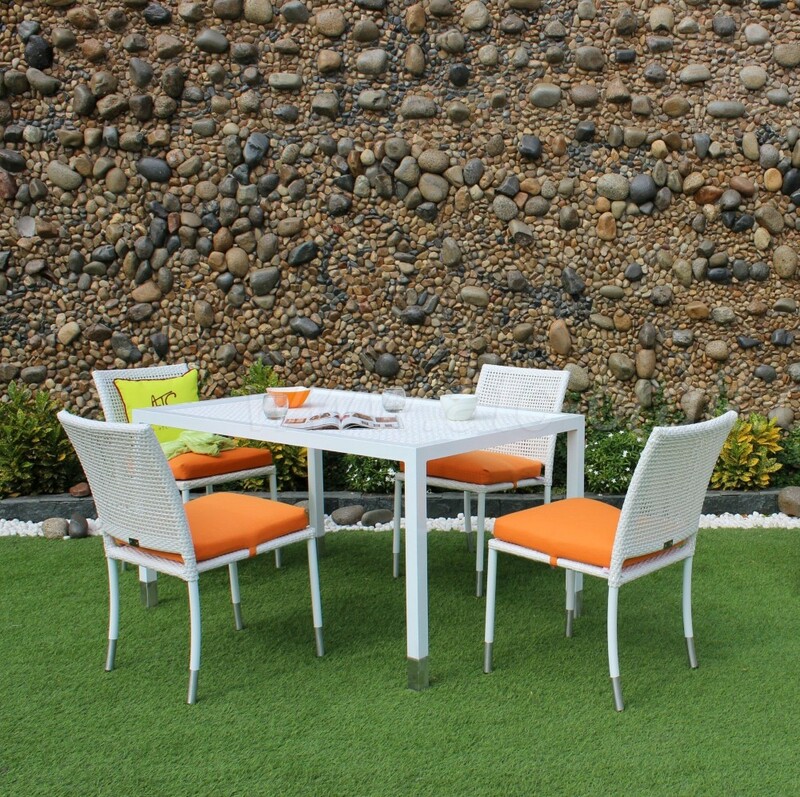 The right outdoor furniture should set a tone that’s both interesting and inviting. Imagine it like a party that they could wander into – they might not have been looking for a party to attend, but if one suddenly appears and looks like a good time, why not explore it then? Then continue with your interior styles. You should use unique but not totally different kind of partterns compared to the outdoor. This helps create a seamless transition and ensure that no mental barrier will prevent your guests from exploring your unique indoor space. Another suggestion from us is making the space more open and appear to be greener through big-sized window, terrace or moulin. Taking advantage of “natural” materials or planting trees indoor, on the rooftop to make space greener can be another good idea. Many people have embraced a green lifestyle and your guests can maintain it while travelling by staying at a hotel with green space. For instance, rattan cabinet from ATC Hotel Furniture Supplier can be used in rooms so as to make customers feel like home and enjoy its greenery. To conclude, when it comes to Hotel Furniture Supplier, there are a number of options on the market and you might not make a decision. But don’t worry, take our 3 pieces of advice and make your hotel the best place to come! Despite several factors to consider, make sure that you choose the appropriate materials, invest on dining space and pay more attention to unique decoration. By that way, furniture in your hotel can be wisely used to please even the most unpleasant guests. Don’t forget that ATC Hotel Furniture Supplier can provide your hotel with all high-quality furniture: Dining set for your high-class restaurant, hammock for a remarkable outdoor look, or sofa set for the best comfort. After all, our goal is to make our customers happy.